This place is squeaky clean and rated "G" for GREAT! 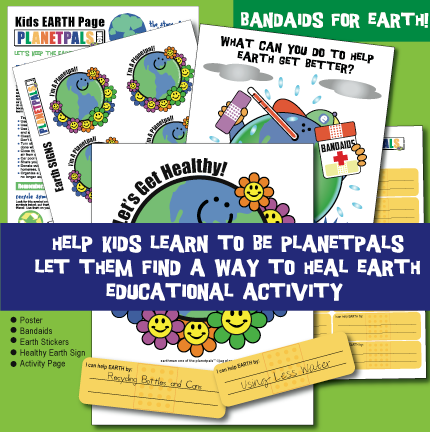 Earthzone is full of EARTH fun and facts! 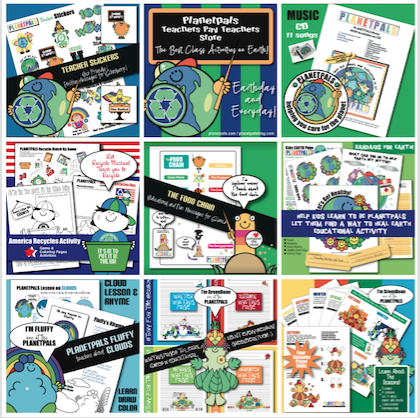 Meet Earthman and His Pals, they will help you learn about the universe. Take quizzes, color, play, or make something today! Become a member. 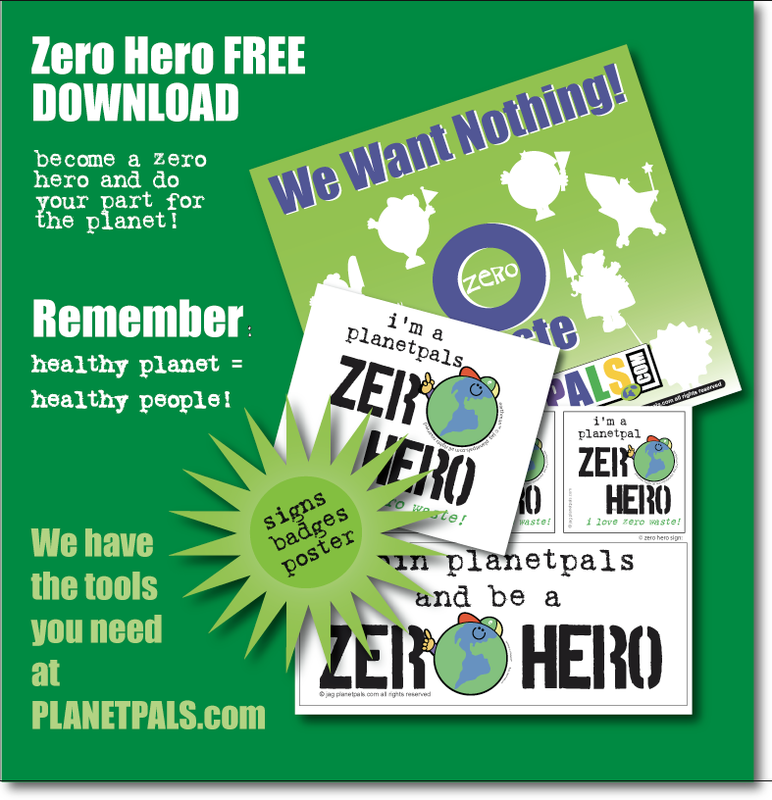 Send friends e-mail stickers or greetings. 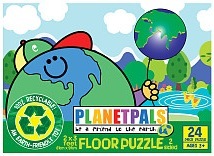 Most of all, be a pal, clean and green! 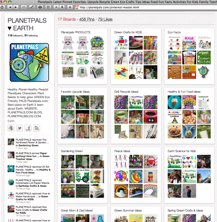 The Teacher/Parent Page gives parents and teachers great ideas how to use the site with kids. All in all, be BIG a part of our SMALL world. 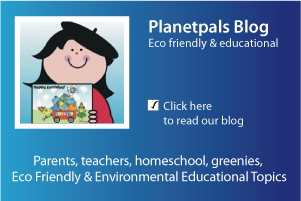 EARTHZINE Magazine is a great way to stay informed! It lists what's new every month and is jam packed with interesting facts and monthly activities. The MAILING LIst is another way. Every month we send you what's new list plus a reminder to read the magazine... kidsclub members receive exclusive activities from time to time . 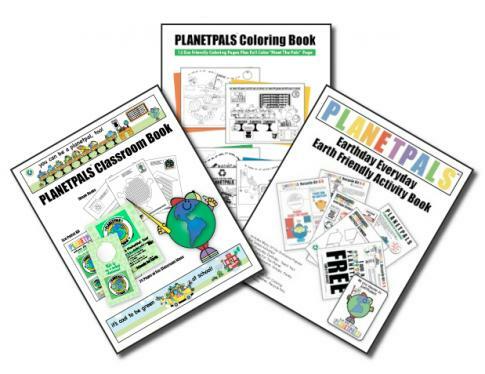 Over 300 pages of activities, lesson plans, fact, fun! At Your School or Office! Just one bag of trash! What is it? Who did it? Our own magazine of fact and fun! A New Wild, but how? What is Upcycle / Downcycle? Recycle it, Give it Away! Brush your teeth, eat well every meal! Birthday wavs, Dictionary, Presents 4 U! Join us for peace in the world! 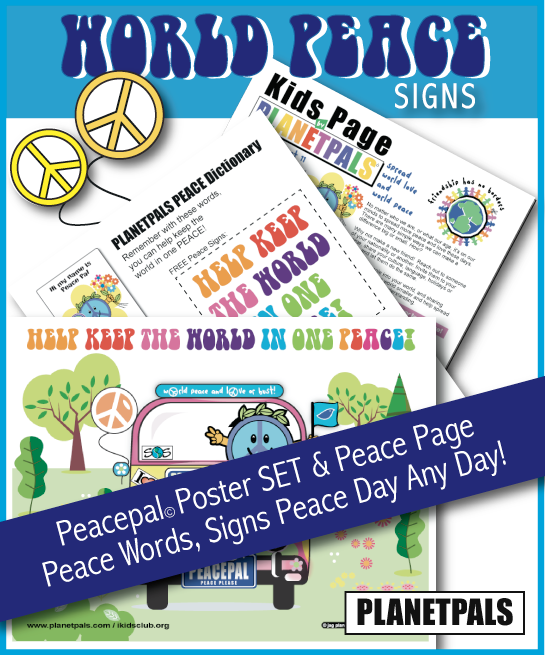 Peace clip art & more. Chock full of PP FREEBIES! You make the moves, fun! Help Fluffy play the drums! FREE Print and play ! Have you read their rhymes? How to use recycled materials to make toys to add to your matchbox, playschool etc. Learn how it works, graphic, fun! 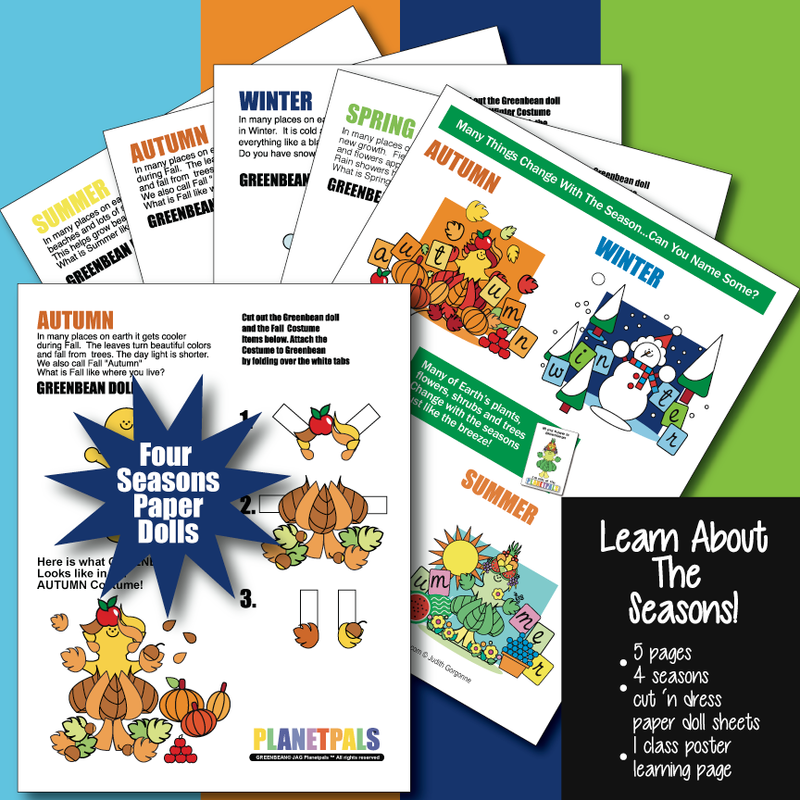 downloads and ideas, Seasonal activities. Does your site deserve an AWARD? 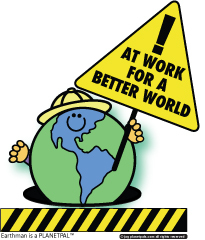 Safe or Clean Planet awards for you! 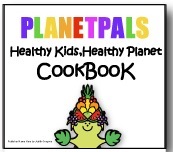 CHECK OUT OUR FAVORITE HEALTHY KIDS SNACKS AND RECIPES! 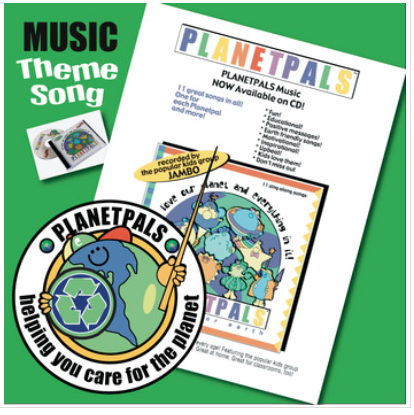 Green themes, green activiies, green characters! 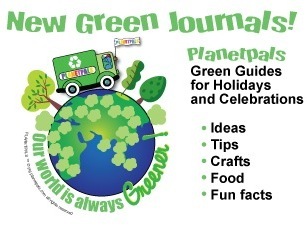 Your guides to Green Living all year long! Follow and Be Inspired! PP Blog!